Hi everyone. Have you ever just seen a release window in the Starplaza and think to yourself; why? I have a lot of those moments. Some of the things Stardoll comes up with, you just have to look at as pugs. Pugs are pretty ugly, but that just makes them even more undeniably adorable. Alright! These are the items I'm working with. And yes, I busted my toosh for the Hotbuys vinyl boots, but I still think they are low-key ugly. Outfit One - When I saw these boots in the Marc Jacobs store I was really...intrigued at first. They are an awkward shape and the print and color aren't that versatile. But the longer I looked at them the more I found I liked them. I paired them with yellow and brown for a more dressed down look. Outfit Two - These red boots. Lordt, I have been looking for them for so long and yesterday I was finally able to get my hands on these ugly things. It's not so much that they are ugly, it's just that they are very, very hard to style. I stuck with neutrals for this one, adding some accents in with the sweater my doll is wearing. Outfit Three - This one was hard. I bought the top and the shorts both on impulse and I ended up hating both of them. The top is just ???? and the bottoms fit so weird...but paired together, I think they do okay. Two wrongs don't make a right but I can act like it does for this outfit. 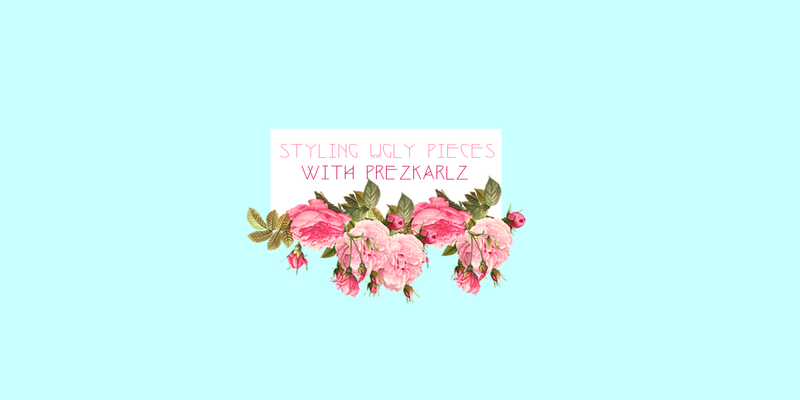 Please share with me some tips for ugly stylings in the comments!! I need 'em.